Secret files relating to the death of the British UN weapons inspector David Kelly in July 2003 have been released. The medical documents back official conclusions that Mr Kelly killed himself. British Justice Secretary Kenneth Clarke said he was publishing the documents on how Dr Kelly died ‘in the interests of maintaining public confidence’ in Lord Hutton's inquiry into the scientist’s death. Lord Hutton denied the reports, which found Dr Kelly's wounds were ‘typical of self-inflicted injury’, had been concealed. He said he had asked for them to remain secret for 70 years ‘solely in order to protect Dr Kelly's widow and daughters’ from distress. ‘My request was not a concealment of evidence because every matter of relevance had been examined or was available for examination during the public inquiry,’ he said. The post-mortem examination and toxicology results were published today after doubts over Dr Kelly's death refused to go away, with several doctors calling for another examination of the case. Releasing the documents on Britain’s Ministry of Justice website, Mr Clarke said: ‘I am publishing these reports in the interests of maintaining public confidence in the inquiry into how Dr Kelly came by his death. ‘While I firmly believe that the publication of these documents is in the public interest, I am mindful that the contents may be distressing. Solicitor Peter Jacobsen, of Bircham Dyson Bell, who has represented the family of Dr Kelly since 2003, said they had no comment to make. 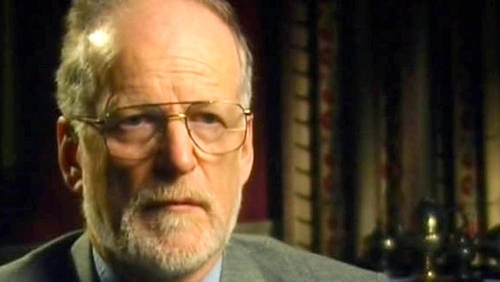 Dr Kelly's body was found in woods near his Oxfordshire home in July 2003 after he was identified as the source of a BBC story claiming the Government ‘sexed up’ its dossier on Iraq's supposed weapons of mass destruction. In the outcry that followed, Tony Blair appointed Lord Hutton to head a public inquiry into his death.